The CW has released the first photo of Cress Williams as Black Lightning, the latest superhero show to be added the network’s lineup. 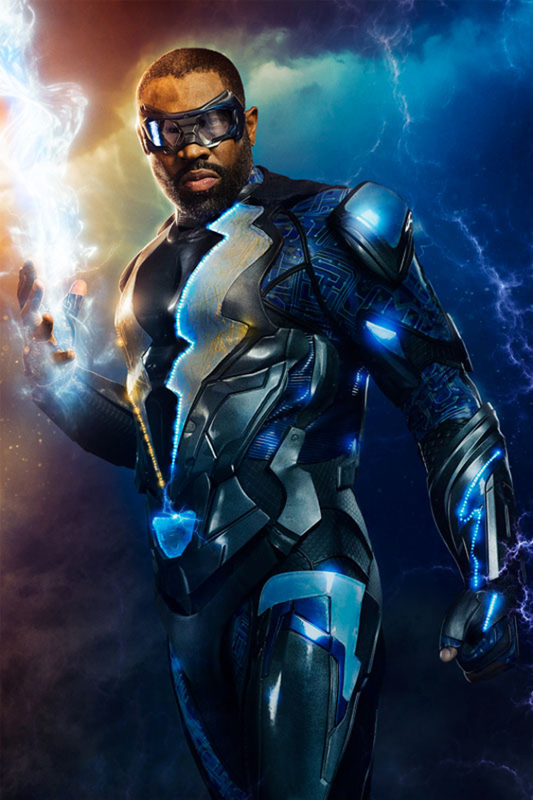 The image (below) shows Williams (Hart of Dixie, Friday Night Lights) in his Black Lightning costume. Black Lightning follows the story of Pierce, a retired superhero, who is brought back into the game by his two daughters. One is determined that justice should always prevail, while the other is being recruited by a local gang. Black Lightning first appeared in the comic book Black Lightning #1 in 1922 and was created by Tony Isabella and Trevor Von Eeden. Black Lightning was the first African-American DC Comics hero to have his own standalone title. Black Lightning will be joining the Berlanti lineup of superhero shows on The CW, which currently includes Arrow, The Flash, Legends of Tomorrow, and Supergirl. Do you think The CW has room for another DC Comics series? Check back here for more news about the upcoming Black Lighting series and get a first look at Williams in his Black Lightning uniform below.